The innovative Smart Dongle developed for Pro testers is easy to use and replaces the current range of AD dongles with one automatic configurable dongle for all makes and models for key programming. Previously, the correct AD dongle needed to be selected for programming keys and remotes. In some cases multiple dongles were used when programming transponders, remotes or reading PINCODES for the same vehicle. Smart Dongle eliminates the requirement for the previous AD dongles. Simply connect the Smart Dongle to your Pro tester and it will automatically configure itself for the vehicle it is connected to. Smart Dongle has additional hardware expansion ports built-in that allows for powerful add-on services and functionality available in the future. The Smart Dongle's on-board memory also incorporates the functionality of ADC198 Nissan PIN Read Dongle including the ADC190 Hyundai / Kia PIN Read Dongle, which are available as optional software add on’s. Customers who would like these software add-ons should ask their distributor for ADS198SD or ADS190SD when placing the order. Customers who have previously purchased either the Nissan or Hyundai / Kia dongle - will have this functionality added free of charge to their Smart Dongle. The AD Security Calculator & Smartcard are now integrated into the Smart Dongle. This means no more entering security codes on the calculator and tester - as this process is automatic - making key programming easier, quicker and more streamlined. Previously, smartcards needed to be recharged after a number of uses. Now whenever you connect your Pro Tester and Smart Dongle to the AD Loader program - smartcard recharging will happen automatically in the background. Smartcard Feature is Only Available For One Registered Tester. SMART Dongle is not for use on multiple testers. It is paired to the Pro tester you connect with during the activation process. 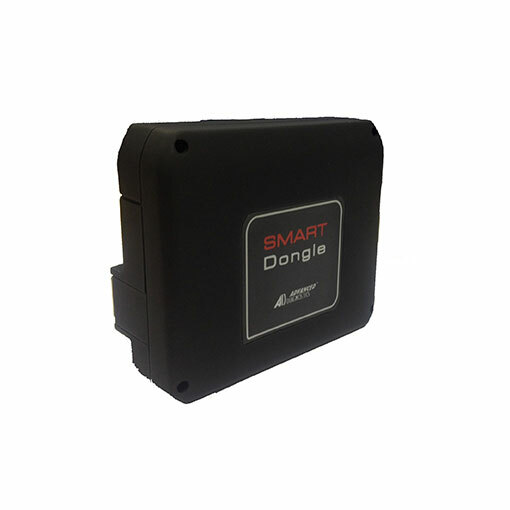 Smart Aerial is designed to enhance SMART Dongle with the ability to pre-code and program transponders directly to the vehicle using an Advanced Diagnostics Pro tester. Simply Connect the Smart Aerial (ADC242) to the Smart Dongle for quick and simple transponder programming / pre-coding. The Smart EEPROM cable will connect to the Smart Dongle port and will enable locksmiths to read / write EEPROM data to generate transponders and read PINCODES directly from EEPROM’s. Full functionality TBA.